Origin: South-Central United States of America. 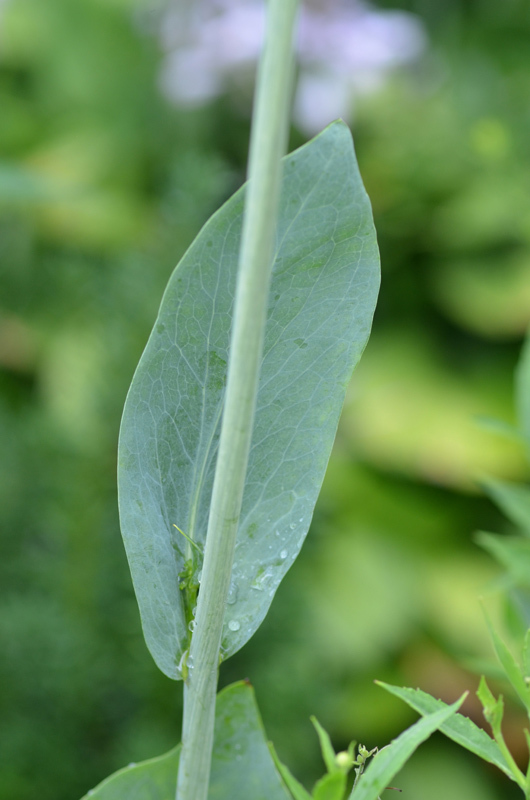 A perennial cornflower with summer flowers that are a beautiful yellow around a dark brown centre and large, blue-green leaves at the base. Works well in wildflower meadows, prairies and gardens. Grow in full sun in a moist, well-drained soil. Tolerant of heat, minor drought and a range of soils. Slugs and snails may cause problems on young plants, and the species is susceptible to powdery mildew. 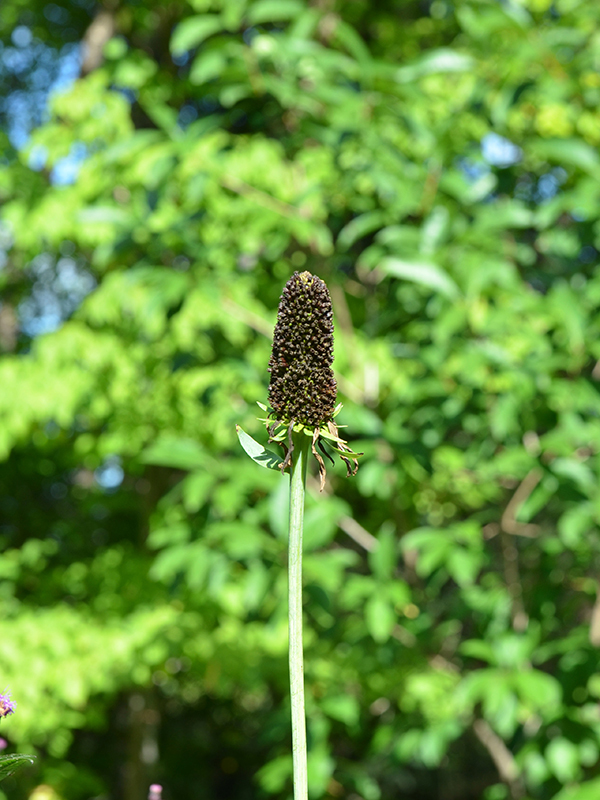 Native to open woodland areas, as well as moist prairies and along transportation lines. Paddle shaped, bluish-green leaves that are notably large (up to 60 cm in length and 25 cm in width) and appear in a basal clump. 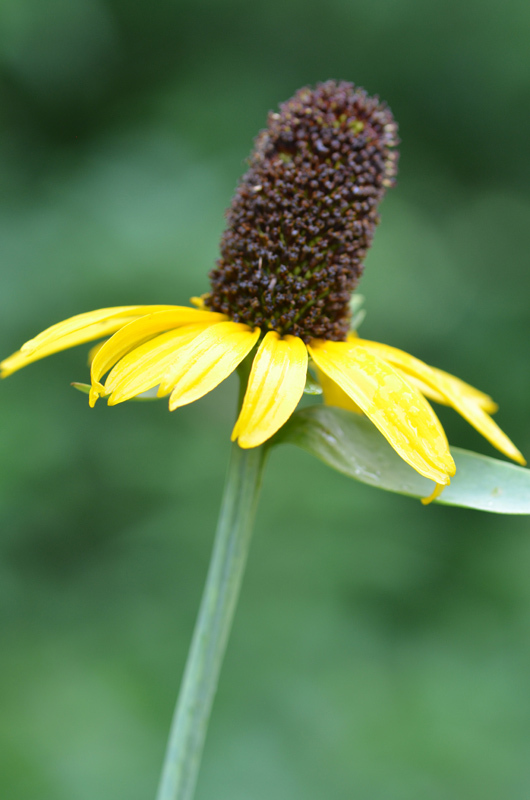 A brown cone surrounded by yellow rays, to 7.5 cm in diameter, blooming in the summer. The flower is attractive to butterflies. 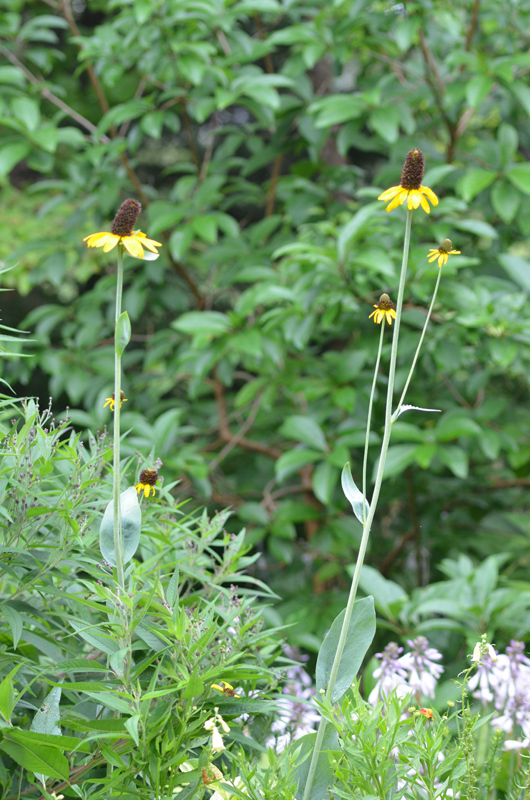 Small seeds which remain on the terminal of flower stalks and are a particular favourite of goldfinches. The Devonian Botanic Gardens, Devon, Alberta, Canada. The A. M. Cuddy Gardens, Strathroy, Ontario, Canada.